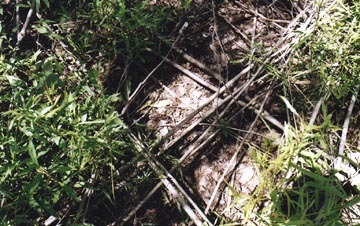 This photograph of the top of the “T” pattern pointing right at the Arthur and Pat Brown home in Defiance, Missouri, was taken on June 21, 2003, seventy days after the April 13, Palm Sunday, discovery of the cut saplings. Photograph © 2003 by Bill Kranz. 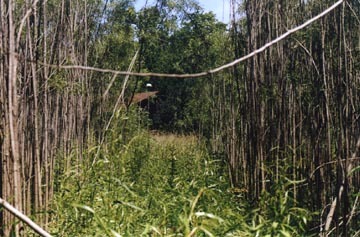 Eighty feet by six feet thin corridors made up the two sections of the “T” pattern cut out in the willow and poplar saplings. 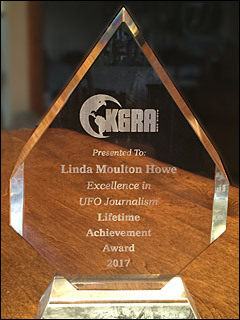 Diagram by Linda Moulton Howe. July 18, 2003 Defiance, Missouri ­ Unusual patterns in cereal crops around the world have provoked some people to wonder if the formations are a warning that the Earth’s environment and food supplies are not guaranteed ­ and in fact, might be seriously threatened. The past ten years on Dreamland radio and now Dreamland Online, I have interviewed dozens of scientists about problems in the air, land and sea, including increasing extinctions of plant and animal life. Now comes a new study reported in the journal Science which shows that in only thirty years, the amount of coral reefs in the Caribbean have declined 80% from what they once were. 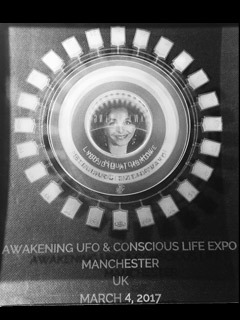 Heading the study is biology professor, Isabelle Cote, from the University of East Anglia in Norwich, England. She points to human pollutions, land development and deforestation that put toxins and sediments into the water as major human causes of the coral crisis. As coral reefs die off, the marine life that depends on them for protection and food must move away. That falling domino effect means the once beautiful Caribbean island culture that has depended on scuba diving, snorkeling and eco-tourism for money is “shooting themselves in the foot,” says Prof. Cote, if they don’t take the dying coral seriously and try to build marine sanctuaries. 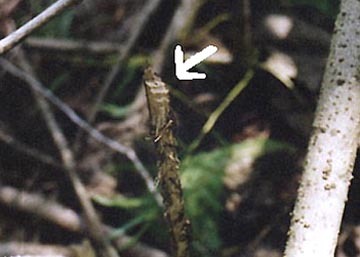 One of the most bizarre 2003 incidents in the United States was the T-shaped pattern created by the cutting down of more than a thousand willow and poplar saplings on a muddy lake bed near Defiance, Missouri west of St. Louis. The Browns and Sheriff’s Department didn’t take any photographs. 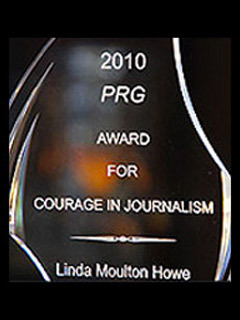 The Post-Dispatch got a couple of ground photographs, but none of the media in the area got any aerials of the pattern. Then in June, Bill Kranz, Director of The Celestial Theatre in Maryland Heights, Missouri, talked to the Browns who gave him permission to photograph the cut trees in their lake bed on June 21. He contacted me about the research he was doing and put me in touch with the perplexed owners. Arthur Brown, has lived with his wife, Pat, and now-grown sons in the same house in rural Defiance for sixteen years. Mr. Brown worked for Hughes Aircraft and other aerospace companies as a procurement manager until recent retirement. The Brown’s house sits a thousand feet off a highway called “F” that runs through the very rural countryside west of St. Louis and Defiance. The most famous feature in their neighborhood is a log house originally built by Daniel Boone for his nephew, Nathaniel. The Browns decided fifteen years ago that they wanted to build a large pond behind their house that would cover two acres. But after the digging was done and rains came, all the water seeped away into what must be caverns and aquifer below the limestone that covers their land. That dry lake bed that would never hold water filled up with willow and poplar saplings ­ until the morning of Palm Sunday, April 13, this year. Mr. Brown heard his married son who was visiting for the holiday yell, “Hey, Dad, come down and take a look here. This is strange!” He only had to walk 150 or 200 feet downhill from the house to the saplings, and Mr. Brown could not believe what he was seeing. Arthur Brown, retired aerospace procurement manager, Defiance, Missouri: “I couldn’t really think too much about anything except how in the world did this thing get here!? And so my son and I started back tracking. You have to go down an incline to get down into this area. We were looking for tracks. We thought maybe a brush hog (vehicle) had come down there. But no tracks. Then we thought maybe kids were out there playing a prank on us and so we looked for beer cans or cigarette butts, any kind of residue that might be there. There was nothing. SO, NO KIDS NO MATTER WHAT COULD HAVE BEEN DOWN THERE. 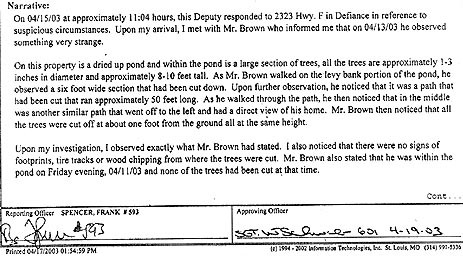 Excerpt from April 15, 2003, St. Charles County Sheriff’s Department Offense/Incident Report about the T-shape cut in the saplings growing in the dry pond on the Arthur and Pat Brown property in Defiance, Missouri, discovered on Palm Sunday, April 13, 2003. “WERE THE RECTANGLES THAT FORMED THE ‘T’ PATTERN VERY STRAIGHT? THAT’S WHAT I SEE IN THE PHOTOS THAT BILL KRANZ TOOK. 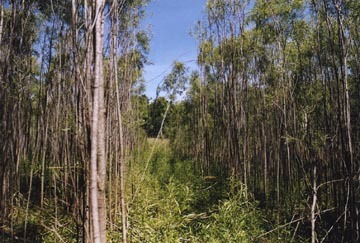 Photograph looking down one of “T” corridors, taken on June 21, 2003, seventy days after the April 13, 2003, Palm Sunday, discovery of the cut saplings. Photograph © 2003 by Bill Kranz. WHAT WERE YOU SEEING IN TERMS OF HOW THOSE SAPLINGS HAD BEEN CUT OFF? I looked at them pretty closely. Some of them looked like they were whacked off with a knife. Some of them looked like they were chewed off, quite frankly. The little ones looked like they were chewed off. I couldn’t tell. They didn’t look like they were cut off with a saw, but maybe with a blade or something. I don’t know. I couldn’t really tell. WERE THERE 45 DEGREE ANGLES ON A LOT OF THE CUTS? There were angles on some of the cuts. I don’t know how many. I didn’t count them, but there were slanted angles. 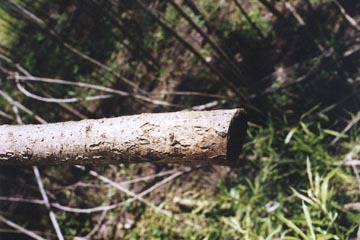 Straight cut across 3-inch-diameter sapling trunk. 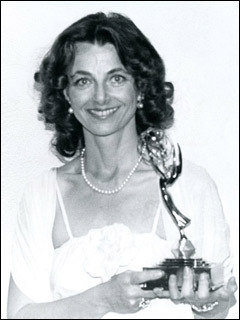 All photographs © 2003 by Bill Kranz. 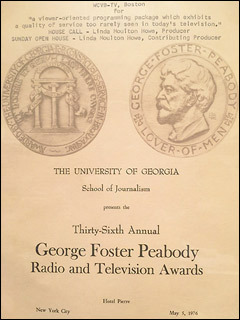 White arrow points to unusual tiered cut. 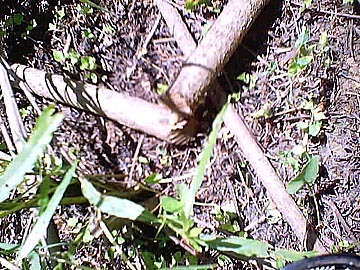 Two levels of sapling trunks intersect. 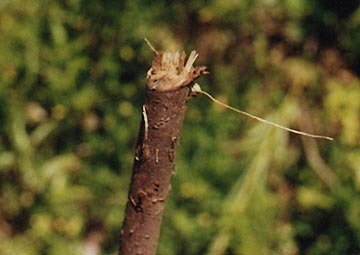 There is a rippled cut on the trunk to the left, a straight cut on the trunk to the right, and what appears to be a 45 degree angle cut on the smaller sapling trunk. This sapling trunk looks as if some force tore off the top. 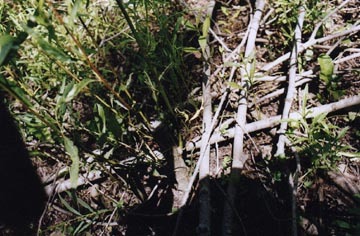 IN BILL KRANZ’S PHOTOS, HE SHOWS THERE ARE MULTIPLE LAYERS WHERE THE SAPLINGS WERE LAID VERY NEATLY – IN SOME CASES, FIVE LAYERS DEEP, CROSSING AT 90 DEGREE ANGLES. I know there were some layers. And keep in mind, these saplings, some of them were at least 20 feet long or more. They weren’t little. 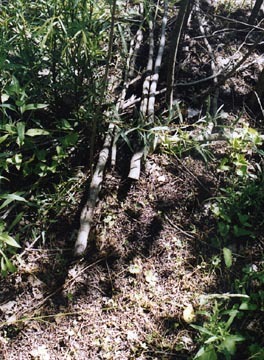 Examples of the 90-degree angle piles of sapling trunks that had been cut down and, in some cases, were layered five levels deep in Art and Pat Brown’s dry pond. All photographs © 2003 by Bill Kranz. 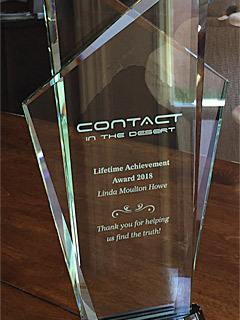 COULD YOU EXPLAIN WHERE YOUR HOUSE IS IN RELATIONSHIP TO THE NEAREST ROAD AND WHAT WOULD HAVE BEEN NECESSARY IF SOMEBODY DROVE ON YOUR PROPERTY THAT WEEKEND TO GET PAST YOUR HOUSE WITHOUT YOU KNOWING? Well, we are approximately 1000 feet off of Highway F, which is a little 2-lane road. It’s probably the least traveled highway in Missouri. 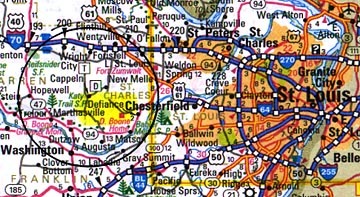 It’s in southwest St. Charles County, which is a rapidly growing county. My nearest neighbor is approximately ­ he’s next door ­ but to get to his house by driving would probably be 3/8th of a mile. And then where there’s an intersection of another road called Femme Osage Creek Road. And we’re a mile from Daniel Boone’s home ­ that’s what they call it here. It’s a home he helped build and lived there. WOULD IT BE EVEN FEASIBLE THAT YOU AND YOUR FAMILY COULD BE HOME ALL PALM SUNDAY WEEKEND AND NOT KNOW THAT SOMEBODY DROVE ON TO YOUR PROPERTY? No, we would know. We would know. Certainly, if there was equipment, we would have heard it. And Channel 2, one of the television stations here, they flew over. They couldn’t see it from the air because the saplings ­ these are willow saplings ­ and from the air I guess you can’t see anything. The trees surrounding the path were all pretty tall. I mean anywhere from 15 to 25 feet. They are very thin at the top and they bend with the wind. So I guess that’s why they couldn’t see the pattern. 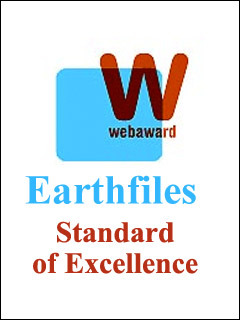 DO YOU KNOW IF THERE ARE ANY INDIAN BURIAL GROUNDS ON OR NEAR YOUR PROPERTY? I don’t know that. I don’t know. The one thing I do know is that this lake we had dug, or just a very large pond, will not hold water and the Missouri Conservation Department told us that it should. So, then we find out that this area before prohibition was called ‘Vine Hill.’ That’s where they planted grapes and they had a vineyard here and apparently they kept a lot of the wine in casks beneath the ground, so there might be caves down there. Could have been Indian caves for all I know. There are caves across the street from us. I SEE, SO UNDERNEATH WHERE THE ‘T’ PATTERN WAS PLACED IN THE LAKE BED, IT MIGHT BE COMPLETELY HOLLOW UNDERGROUND? It could very well be because the water just goes in and goes down quickly. DOES THAT MEAN YOU ARE SITTING ON PROPERTY THAT IS LARGELY MADE OF LIMESTONE? LIMESTONE IS ONE OF THE MOST PREVALENT COMMON DENOMINATORS AROUND THE WORLD IN ANY COUNTRY ASSOCIATED WITH WHERE CROP FORMATIONS ­ OR IN THIS CASE, A CUT FORMATION ­ MIGHT OCCUR. Yes, in fact, roughly about a mile from us is one of the largest quarries in the whole area that they mine limestone. It’s huge. 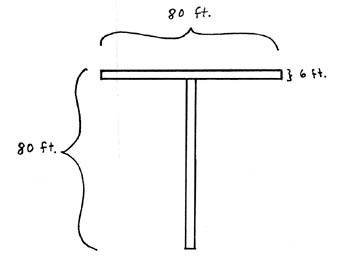 HAS ANYBODY, WHETHER INDIAN LEGENDS OR ANYBODY BEFORE YOU MOVED THERE 16 YEARS AGO, WHO HAVE TALKED ABOUT SEEING ANY SMALL, STRANGE, MYSTERIOUS LIGHTS? 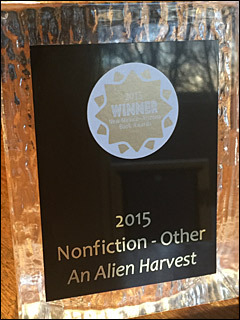 I don’t know about other people, but we did. So I got in the car, my wife and I, and drove out of the driveway and went down Highway F. Right next door to us is this huge grist mill and Nathaniel Boone’s home. And right over the top of it was this humongous red ball, shining ­ the Fire Chief saw it, everybody saw it. So we don’t know what that was. WAS THE RED BALL GLOWING IN AN EVEN LIGHT, OR DID IT LOOK A BIT LIKE FIRE, OR WHAT? No, it didn’t look like fire. It was just nice even light. THE COLOR OF A RIPE CHERRY TOMATO? Yes, it was strange in the middle of the night. It was a clear night. We could see stars and everything. DID THE FIRE PEOPLE TRY TO APPROACH? BUT THAT’S PROBABLY WHAT SET OFF THE ALARM. Oh, yeah, that’s what we think. YEAH, AND HOW BIG DO YOU ESTIMATE IT WAS – BASED ON THE SIZE OF THE DANIEL BOONE HOUSE – AND HOW HIGH ABOVE THE HOUSE? Well, let’s put it this way ­ it was relatively high, probably I’d say somewhere between 750 and 1000 feet over the building. When you see the moon at its fullest, it was about 1.5 times the size of a full moon. Pure red and stationary. Not moving. THAT IS FASCINATING AND IS THAT THE ONLY REPORT OF MYSTERIOUS LIGHTS IN YOUR AREA THAT YOU’VE EVER PERSONALLY HAD KNOWLEDGE OF? There was another time when we were driving down Highway F and a runoff creek runs along that road as we are going south. That night, the Raymeyers were ahead of us ­ we didn’t know that at the time ­ but all of a sudden it got as light as day and a light ran down, a light from the sky, ran down that creek bed. I mean, it was just like noon time. But there were stars above. It wasn’t lightning, or ball lightning. I’ve seen ball lightning on airplanes and that wasn’t it. We kept it to ourselves and the next day was Sunday and we were in church and Mr. Raymeyer said, ‘The strangest thing happened last night,’ and he told us what we saw because they saw it, too. THAT CREEK WHERE THAT OCCURRED IS HOW FAR FROM YOUR HOUSE? SO EVERYTHING THAT HAS OCCURRED HAS BEEN RIGHT IN YOUR AREA? Yeah. My wife and I have talked about that. In fact, before that thing happened to our trees, we had been talking and said, ‘We haven’t seen anything recently, or had anything weird happen here.’ And then that happened. SOME HOW, THIS EIGHTY FEET BY EIGHTY FEET BY SIX FEET ‘T’-SHAPED PATTERN GOT CUT OUT OF THE SAPLINGS GROWING IN THAT DRY LAKE BED WHICH SEEMS TO FILTER WATER DOWN INTO WHEREVER ALL THIS UNDERGROUND WATER IS IN THE LIMESTONE? I guess that’s a good way to describe it. AND WHO, OR WHAT, WOULD WANT TO MARK THAT SITE? I have no idea. But you know, one thing that crossed our minds were young people out there who wanted to grow marijuana. BUT THEY WOULD HAVE TO HAVE LEFT FOOTPRINTS. You would think so. I mean, it would be impossible to not leave some kind of clues.